When we were kids, we were always on the hunt for wood. We had bike jumps and skateboard ramps to build. We also had clubhouses, forts, and a zillion other structures to build. We scoured new home sites, junkyards, and neighbor’s backyards. Sometimes we hit the jackpot; other times we went bust. But I do remember that whenever we found pallets it was like Christmas morning. Wood pallets were good for everything. They were durable, which meant our forts, jumps, and ramps were nearly indestructible. Fast-forward a few decades and most of our searches for lumber happen at the hardware store. Sometimes the task at hand requires a precise type of wood, specially cured and cut. For these jobs it’s hard to rely on pallets. However, there are many great projects for which pallets are the perfect resource. Here’s a look at some of the benefits of using pallets for a wide range of projects. 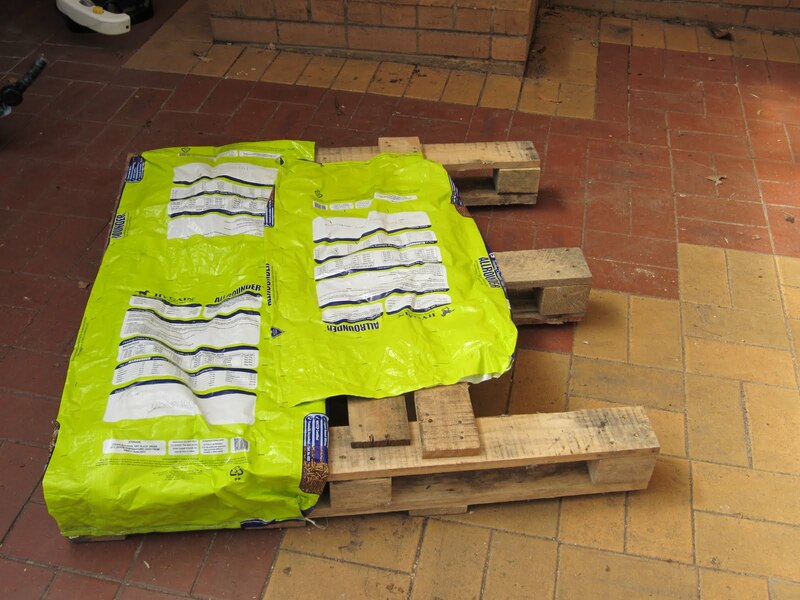 The chances your project needs pallets in their original design is probably remote. This means you’re going to have to break them down into their component parts, namely strong side boards and thinner planks. No matter how you choose to break them down, you’re going to have to use some elbow grease. 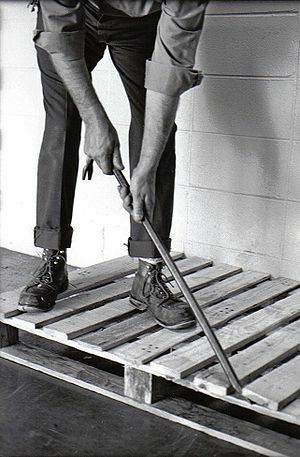 Using a pry-bar or claw hammer is an excellent method. Not only do you stand the best chance of preserving each piece of wood in usable form, but they’re familiar tools. You could have a stack of pallets disassembled in rather short order because there is very little that can go wrong with these manual tools. Your body will also benefit from the workout which includes strengthening your arm and back muscles. Your heart and lungs will also benefit from the cardio workout, and that’s just plain good exercise by any standard. 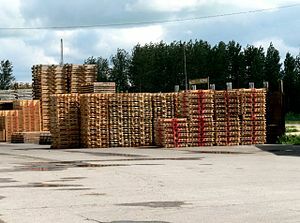 A friend recently did this exact exercise, on literally hundreds of pallets. Her goal in breaking down the pallets included the physical component. Her task each day included breaking down however many pallets should could in one hour. She kept a good pace and to see her several weeks later is to know she definitely benefitted from the vigorous work. Her overall objective was to build a fence around her backyard. Not only did she have enough lumber for the project, she got the pallets for free, although it did take her some time to collect them all. She spent several weeks on the project, and today has a great backyard fence to contain her dogs, is in considerably better shape than she was a few months ago, and largely has her pocketbook intact because she saw the value in using a product she could get for free. 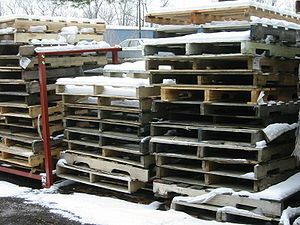 One of the greatest advantages of using wood pallets for various projects is the very fact you’re re-using a product. Every time a pallet is deconstructed and used for something different, fresh pieces of lumber do not need to be created at the mills. Recycling and reusing these types of resources is just the right way to live, particularly if you concern yourself with helping preserve our natural, limited resources. If you get really good at tearing these guys a part you can even reuse the nails! When you make something by hand, it’s automatically better on some levels. The satisfaction of a job well done cannot be matched by any purchase, no matter how deeply discounted. Another friend is currently in the middle of building a new mailbox out of wood pallets. Not only did he acquire the materials for free, he’s developed an excellent plan that will result in a sturdy, attractive product he can proudly claim ownership over, start to finish. His mailbox project, like my other friend’s fence project, is another excellent example of how products can be deconstructed and re-used in an entirely and unexpected fashion. The exercise and increased strength through physical exertion is legit, the recycling and re-use of natural resources is, without question, a smarter use of their money and these materials, and the satisfaction of creating something new out of something old is just better because it’s the fruits of their labor. What can you build from unused, tossed-aside pallets? Start thinking about all the different things you can create out of the planks and boards they offer, and before too long you’ll be as engaged in your weekend projects as my friends have been in theirs. Here is a step-by-step guide for a DIY at home way of making an end table from pallets. Enjoy! Tags: Do it yourself, Pallet, Project, Reuse, Wood. Bookmark the permalink. You have a great project here and thank you so sincerely for coming across our blog! Not a problem – always easy to find the good ones. Always finding pallets being given out in industrial areas. Seems they import stuff on the pallets and then have a hard time getting rid of them. Just make sure you get the non treated type, typically the poorer quality ones. Yes spot on Barry, although sometimes (just sometimes), you can find the really good quality non treated pallets Is there anything in particular that you make with them? I helped a friend put in a raised bed this Spring. We used boards from shipping crates & pallets to build the frame & use coffee waste compost to bring the soil level up in the bed. It was great fun helping friends get into a rewarding pass time like gardening. Using coffee grounds sounds like a great way to build that soil up. Have been doing the same at my place to get a variety of heights in which to grow plants. Herbs seem to do well in raised beds with pallets being ideal for that, and then the larger plants like shrubs and trees grown around those at ground height. This friend used 36 inch store bought wire cages to hold up his tomatoes& the compost has shot them up like a rocket. So the cages are full & falling over, I am taking 1 1/2-2 inch bamboo poles over to Tuesday 19, to help hold them up.